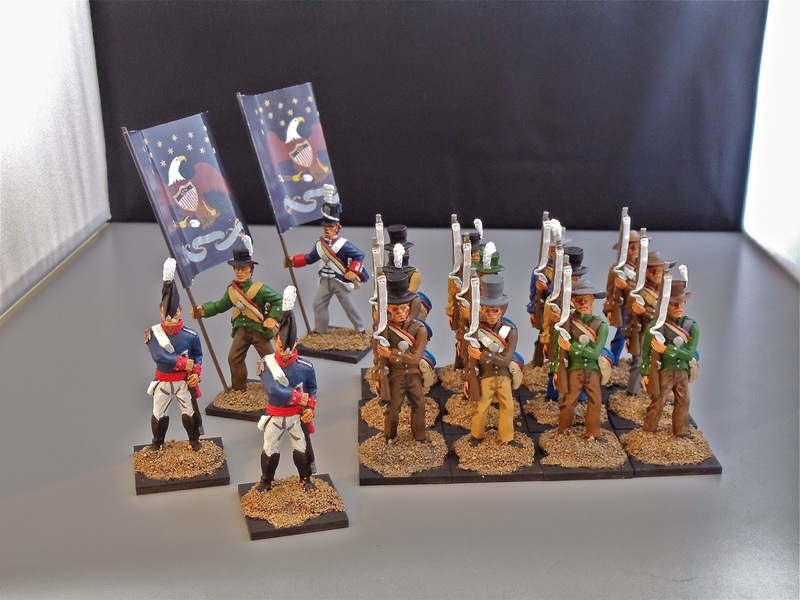 Yesterday I finally managed to finish off a unit of US militia that I'll need for my MayDay game. 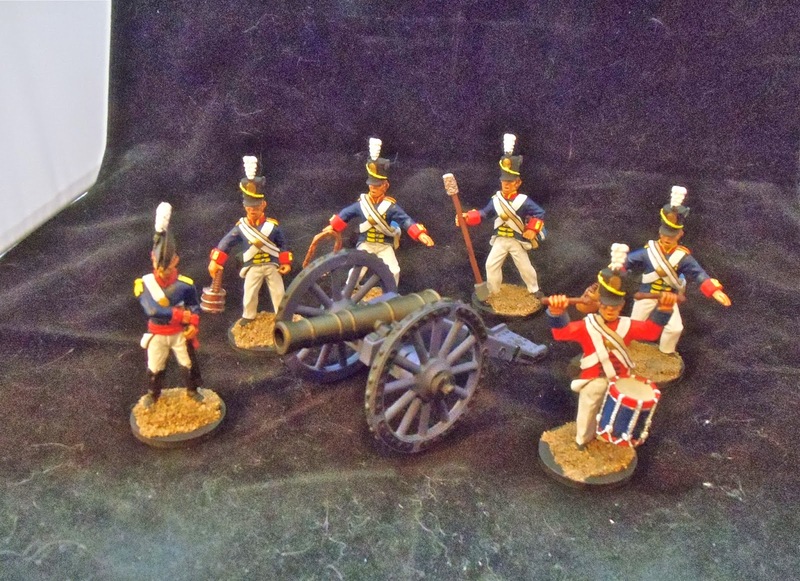 I also did up two other command figures to replace the British command figures in my other painted unit of militia. Figures are from All The King's Men. All I have left to paint is a pair of US mounted generals and a unit of US cavalry. The horses should be done today so I should have no problem getting these done in time. Then it's on to terrain. Last night I finished off a unit of US artillery. Figures are from All The King's Men. Remaining for my MayDay game is a unit of militia, US cavalry and two US generals. The militia are already well under way and I hope to have them almost finished by the end of the weekend.